Since CPC General Secretary Xi Jinping's speech at the "Road to Rejuvenation" exhibition last November, the "Chinese Dream" has become a hot topic across China's cyberspace and in real life circles. There seems to have been one thousand and one different ideas and interpretations regarding the "Chinese Dream," and people naturally compare it to the "American Dream" and the "Japanese Dream," or anything of comparative value. With such diversity – or in some cases divergence – in the way people think, I would say that it is always good to have dreams, for a person or a nation alike, rather than be deprived of the right, or courage, to dream. And I assume that most people are convinced that this "Chinese dream" is a positive dream, a dream of hope and promise worth striving for, one that is deeply rooted in the cultural and philosophical tradition of this ancient Oriental nation, one that keeps ringing from the depths of its modern history, from the past woes of both its elites and masses, from its millennium-old pursuit of peace and harmony. Mr. Xi made a terse point about the relationship between the various "Chinese dreams" and the "Chinese Dream." He said, "Everyone has their own ideals, pursuits, and dreams. Everyone is also talking about the Chinese dream now. Since modern times, the greatest Chinese dream, I believe, has been to achieve the rejuvenation of the Chinese nation." 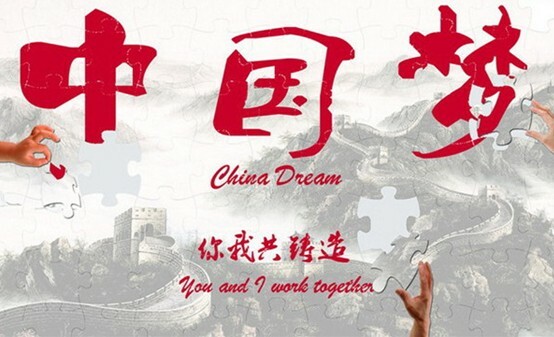 Apart from being straightforward, well-balanced, and full of strength, it seemed to me that Mr. Xi also intended to harmonize "Chinese dreams" and the "Chinese Dream," instead of drawing a rigid line between the "individualistic" and the "nationalistic." As a layman in politics, it is not for me to comment on issues about the "what" and the "how" of the "Chinese Dream," but still I would like to propose several principles in our understanding of the "Chinese Dream," so that possible pitfalls may be avoided, real substance can be ensured, and the pursuit of personal ideals and the achievement of national rejuvenation will be made peacefully coexistent and mutually fulfilling. The first principle is "the importance of action." National leaders including Xi Jinping have emphasized on various occasions that "empty talk is harmful to the state and only real action can make it thrive." The same can be applied to the "Chinese Dream." To achieve national rejuvenation, our best action is through well-measured reforms. It is particularly important for the central leadership to push for better "top-level design" and for governments at various levels to take the lead and set a good example so that the general public will follow more willingly and become more confident of the benefits they'll receive through such action. The second principle is "the importance of consensus." All successful action needs to be supported by a certain degree of consensus. If our words and deeds about the "Chinese Dream" cannot resonate with the actual needs and wishes of the people, our talk is just empty talk and the "Chinese Dream" may end up being an empty dream. The formation of utmost consensus requires the people's confidence that the nation is progressing along a right and promising track and an assurance that people's own dreams are not only tied to but will also be further extended by their pursuit of the "Chinese Dream." Once such consensus is built in, the "Chinese Dream" will translate itself into the conscious action of the largest population in the world. The third principle rests on "the importance of people." The "Chinese Dream" can only be fulfilled through the life, work and dreams of numerous individuals. Over the years, we have attached great importance to the cultivation of people with various technical, practical, and professional skills, which has proven to be a wise choice by China's past development. However, we have also witnessed a terrible decline in many people's morality and cultural awareness, which has not only become a drawback for China's long-term development, but is also draining China's soft power on the international stage. In this regard, school education, for example, should place equal emphasis on state-of-the-art disciplines and the liberal arts, to improve students' cultural and philosophical awareness. Only those people who themselves have a dream will identify with the "Chinese Dream" and make creative contributions towards its realization. The fourth principle is "the importance of learning." Learning can not only greatly aid decision-making, but can also effectively counterbalance negative or corrupt ideas. This also holds true for today's Chinese society where excessive desire for economic success has distracted many people's heart from learning, leaving them with a life of constant anxiety and fickleness. A learned nation is itself powerful. The "Chinese Dream" is a dream of hope and a promise worth striving for, a dream dating back a millennium in pursuit of peace and harmony.